As low as $5.40 for Kids' DVD Bundles, Regularly $20! Right now at Mamasource you can score kids' DVD bundles for as low as $5.40. These sets regularly cost $20! The deal is on sale for $6, but if this is your first Mamasource purchase you can use the code apr10 at checkout to make it $5.40. 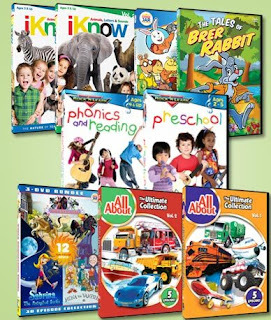 This offer includes five popular DVD bundles, including Easter rabbit collection, Rock ‘N Learn bundle, and other educational and entertaining titles. For less than the price of two movie tickets, you’ll get hours of amusement for kids of all ages.